Deli cups are perfect for temporarily housing small lizards (baby or juvenile geckos, beardies, chameleons, etc), frogs, small snakes, and delicate creatures like spiders. 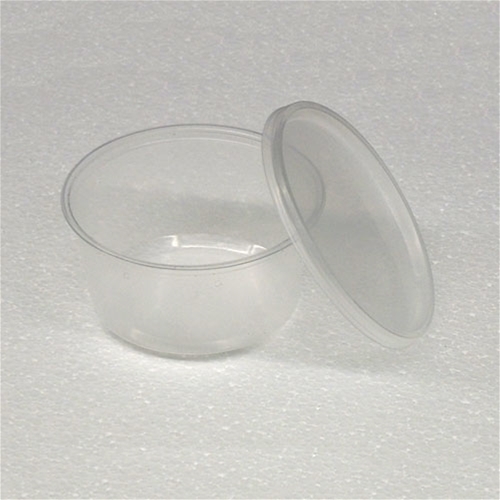 The more delicate the animal, the more it needs a structured container like a deli cup. A cup that is a little bit of a snug fit for your animal is better than one that allows too much room, as the box is bound to be jostled around in transit (cups with excessive room allow greater chance of injury as the animal can bounce around more inside the cup). Our CLEAR cups are great for displaying at trade shows, and our SEMI-CLEAR cups are great when complete clarity isn't as important (e.g. when you just want to ship your reptiles). Cloth reptile bags (aka “snake bags”) are good for larger, more sturdy reptiles that have more size and weight and don’t really need the structure of a deli cup. When it's time to ship your reptiles, protect not only your reptile but also the industry in general by ALWAYS using a carrier approved insulated shipping box. Our insulated boxes are certified by FedEx to provide excellent protection for your animals and minimize the possibility of escape in transit. SHIP RESPONSIBLY!